The DJI Mavic Pro drone is ideal for travelers because it’s extremely portable with folding arms that covert it into the compact size of a liter water bottle at its smallest. Unfortunately though, nearly every case made for the Mavic is bulky at best, taking away the Mavic’s main advantage for travel. 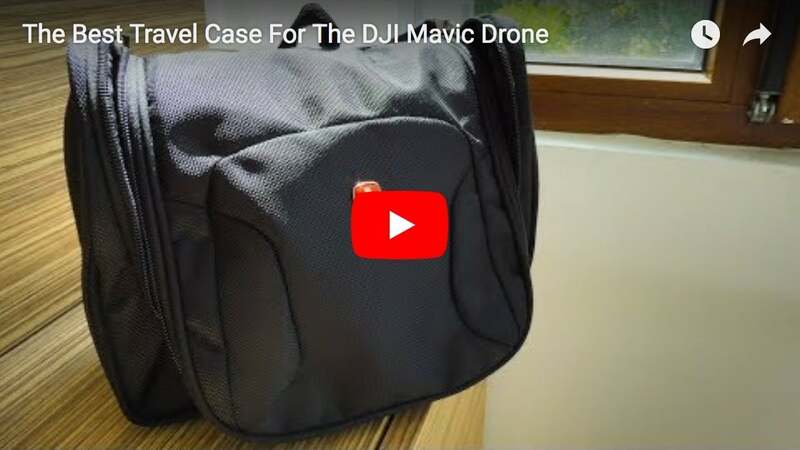 The Mavic Pro is one of the tech gear I travel with and after testing numerous cases, found the SwissGear Hanging Toiletry Kit to be the best soft case for Mavic. You can see in my full review why the the SwissGear Hanging Toiletry Kit might be the ideal case for your Mavic, in the video above.